– Franklin raced out to a 13-0 start but Foxboro battled back to make it a six-point game (29-23) at half. But the Panthers dominated the third quarter, outscoring the visitors 23-5 in the frame and allowed a total of 14 points in the second half to earn the win. Franklin senior Will Harvey had a career-high 15 points while Jalen Samuels and Thomas Gasbarro each added eight points. Foxboro sophomore Kevin Gallagher scored a team-high eight points. 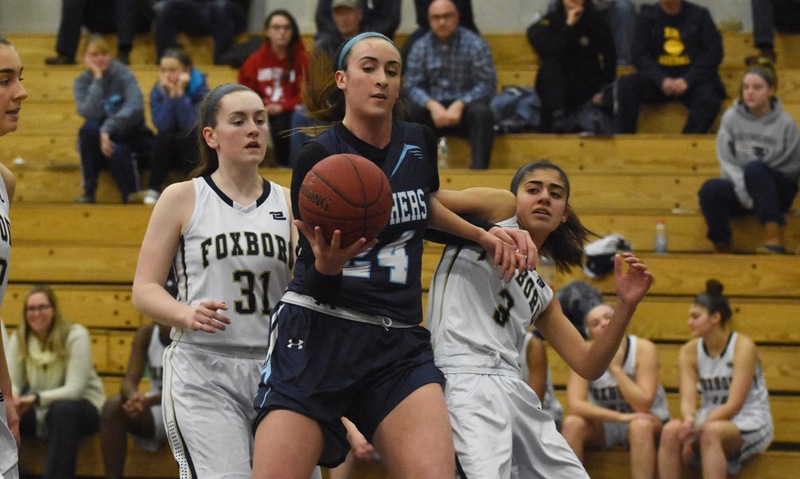 "Coming into Tuesday night’s showdown, Foxboro and Franklin were both unbeaten (8-0) in Hockomock play and were the league’s top two scoring teams, its top two defensive teams, its two division leaders, and boasted the league’s top two scorers. Franklin’s win ended Foxboro’s 26-game win streak and 33-game league win streak."